← Book Launch for Women Who Rock: From Bessie to Beyonce. Girl Groups to Riot Grrrls at Book Soup Tomorrow! The SoCal Divas of Blues Festival looks to be a great event for a great cause. Many of the top female blues artists, such as Diana Rein, Shy But Fly, Casey Hensley, Mercedes Moore, Give Me Back My Wig, Jade Bennett and Brigitte Rios Purdy will each perform a set. Headliner Shari Puorto, one of the best female blues vocalists around, who is a SoCal favorite, will top the event off with her band. The event will take place at Civic Center Plaza in Old Town Temecula on Saturday, October 27, 2018 from noon to 8pm. Temecula, a favorite destination for many from Los Angeles and Orange County due to its wonderful collection of wineries, will also be the site of an after-party at Festival Promoter and club owner Andy Doty’s Old Town Blues Club. One of the performers chosen as a Diva of the Blues is Diana Rein, the “Six String Siren”. 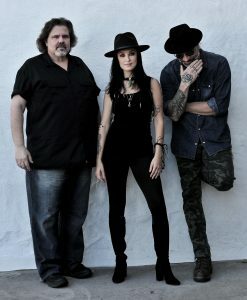 Diana has earned her moniker as a master of blues/rock guitar, performing both solo and with her band, as well as also judging at the recent Six String Showdown. 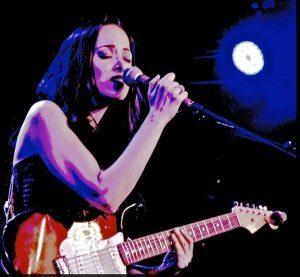 Diana, who has been profiled in the Los Angeles Beat here for her One Woman Show Tour, spoke to the LA Beat about the upcoming SoCal Divas of Blues Festival, her music and the importance of supporting breast cancer awareness. Q: You’re singing and playing at the Southern California Divas of Blues Festival. How’s it to be considered one of the Divas of the Blues? A: I have to say it’s an honor; and I work; and have to continue to work really hard to be able to be part of such awesome events like this. I’m really excited to be there on that day with all these leading female blues artists. I think it’s so important, this one is especially important because it is going to be hopefully one of many that features women. We are out there, working hard; and we have some amazing men backing us up too. It’s going to be an awesome party—I feel really honored and I can’t wait to see everyone perform and see everybody there. Q: Breast cancer is something we all need to be aware of. Do you have a personal reason for supporting this event for it? A: Yes, I do actually. Breast cancer has been in my family. It’s something not pleasant to think about, but very important to support awareness of awareness, things you can possibly do. I go more for the natural route when it comes to medicine and I hope that we can just spread awareness about its cost, because it does take many lives. Women go through really tough treatments and everyone suffers in the family. I look forward for their being a cure, so yes, this is very important. Q: You’ve got a great band that will be with you. Who’s playing with you? A: I’m very lucky on that day, October 27th, to have Michael Leasure playing drums with me, he’s been Walter Trout’s drummer for ten years now; and I also have Johnny Griparic on bass. He also is going on tour with Walter Trout in November, going to Europe in his band. So I get to borrow them for this awesome event! I also borrowed them for my last event in September. We had just an amazing, amazing time playing together so it’s a real treat. Q: You’re recording another albumnow. How’s that coming along? A: Michael is also co-producing my next album, Queen of the Castle. We’re recording vocals this week and we’re going to be recording more vocals next week. Next we’ll have lead guitars to work on and then we’ll send it off to mixing and mastering. Its been an awesome journey. I’ve known Michael for about four years now, I saw him playing with Phillip Sayce in 2014 and I befriended him and kept in contact, all in hopes of working with him. It seems so amazing to look back now and see how it started and friendships I’ve had through the blues and through music. With Michael I’ve been working pretty close for about a year now. I wrote songs and we started meeting together to arrange them. Then he’d go out on tour and I’d be doing my solo shows, my One Woman Band shows. So we’ve been doing it since and I’m very excited. Q: What is there about the blues that moves you? A: Whenever I get this question it’s so very hard to explain because when I was eight years old and I heard the blues for the first time; and it also happened to be the first time that I got up on stage to sing the blues, but it was an improvisation over a 12-bar blues in a bar in Chicago called the Back Room.so when you’re eight years old and you go on stage and you sing the blues, but you don’t even know it’s the blues, but you remember that as one of the most important moments of your life, all I can say is that it’s about feelings. It’s a feeling, it’s a guttural feeling, it’s all about emotion and reaching deep down inside. The blues is just such a great form to be able to be able to release that emotion—to be in touch with that emotion. And then you throw the guitar on top of that—for me, personally, I can wail and scream and whisper and just go through all sorts of—be angry, happy and sad, it just runs the gamut for me. To be able to do that through an instrument is such a gift; and that’s what makes me keep going back for more. I’m completely obsessed and hungry when it comes to the way I play and exposing emotion. There’s a vulnerability there but it’s unspoken, so to be able to reach other human beings through this unspoken language and be heard without my voice and through my guitar is amazing. There are times when I do use my voice, but for me the guitar trumps that. Q: You’re known as a top blues and rock guitarist. Is it important to have your guitar speak for you? A: Yes, yes and yes! I feel like if I can’t speak through my guitar then I’m not being heard. I’ve heard different artists, blues artists, who have thought it’s equally important for them to be known as a guitarist and a blues vocalist and I do agree, but for some reason there’s something inside of me that—I get offended when someone says “here’s this awesome blues singer, Diana Rein”—it’s almost like I want that they would say, “here’s this awesome blues guitarist, Diana Rein”. I think there’s something in my soul, that I need everyone to know that I love this guitar so much, I love playing the guitar so much that I never want to hear that comment. Maybe it is unhealthy, but I’d rather have that kind of obsession than something else—and I’ve had other ones too! I feel everyone has to have a vice and I feel that guitar is my vice now. Q: Your original songs cover a wide range of topics and emotions. Do you have a special song for this upcoming Divas of the Blues Festival show? A: The whole setlist is not finalized yet, but I will be playing some new songs. One of those songs is Queen of My Castle, which is the name of my next album that will be coming out early next year. Queen of My Castle is about empowerment. A lot of my songs are about empowerment about the time that everything was coming out about Harvey Weinstein and #metoo and everything that is happening nowadays, politics and such. I don’t like to deal with politics because that’s its own language and it’s bringing people down. My job as a musician is to lift people up. Queen of My Castle is just about empowerment, no matter whether you’re male or female and it is clean (laughs) but the principal theme is empowerment; being the Captain of your own ship and not letting anybody bring you down and just being lifted to stay in the light. Yes! Q: Thanks, Diana, we’ll be looking forward to seeing and hearing you at the SoCal Divas of Blues Festival! 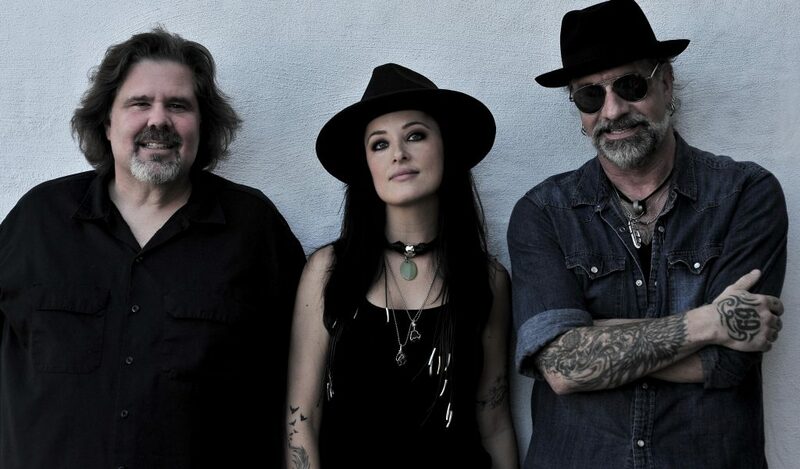 Diana Rein will be appearing at the SoCal Divas of Blues Festival with Michael Leasure on drums and Johnny Griparic on bass, both from the Walter Trout Band. With all the other great blues acts fronted by women, this should be a great event to see, as well as supporting the worthy cause of Breast Cancer Awareness. As a chance to see some of the top female blues performers onstage all in the same day, this really will be a day of Divas. 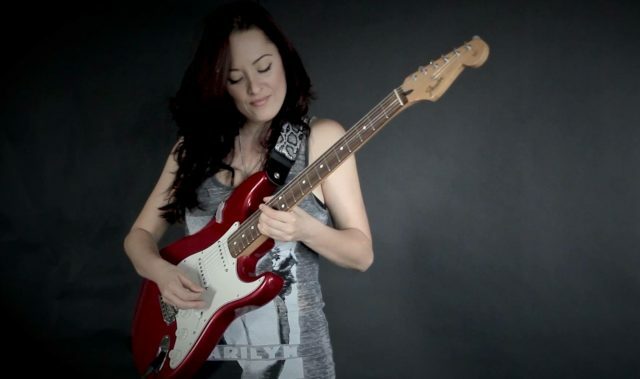 This entry was posted in Events, Interviews, Upcoming Events and tagged Blues, breast cancer, Diana Rein, Guitar, Johnny Griparic, Michael Leasure, Michelle's Place, National Breast Cancer Foundation, SoCal Divas of Blues Festival, Temecula, Women. Bookmark the permalink. 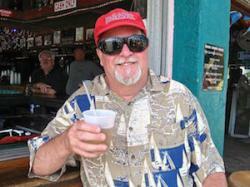 Another great article from Mr. Ed Simon!